Union County, NJ – The Union County Board of Chosen Freeholders is pleased to announce that award of grants for elementary and middle schools in 15 school districts through the new Union County STEM Scholars grant program. The program launched this year under Freeholder Chairman Granados’ “Moving Union County Forward” Plant-A-Seed initiative with the goal of enabling local school districts to enhance STEM (Science, Technology, Engineering and Math) programs for younger students. The inspiration for the grant program comes from the Freeholder Hudak’s mother, Susan L. Hudak. Ms. Hudak was a dedicated member of the educational community of Union County for many years, both as a member of the Linden Board of Education and as a volunteer. Her work included the establishment of a Monthly Friday Family Science Night, a program that ran for 25 years at School No. 6 in Linden for students and their families. Project Based Learning: Creative, STEM-integrated, educational programming. Afterschool STEM: Projects and programming that focus on extra-curricular learning, including science fairs, STEM clubs, monthly labs and workshop. 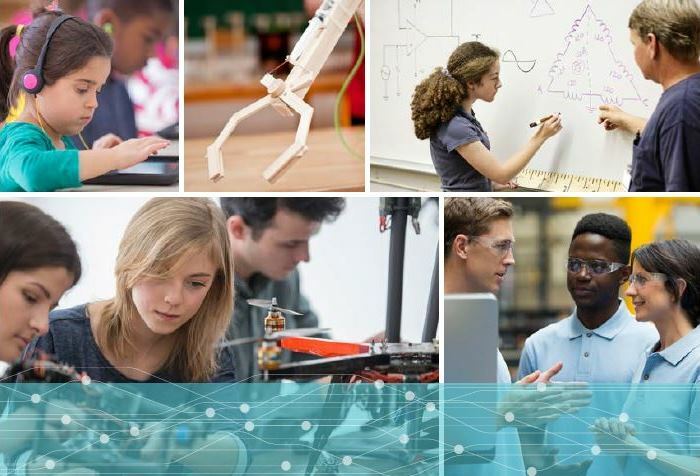 Out-of-School STEM: Creative STEM experiences out of the classroom, to better prepare students for STEM work in the classroom, and in the workforce. Photo credit: US Department of Education.